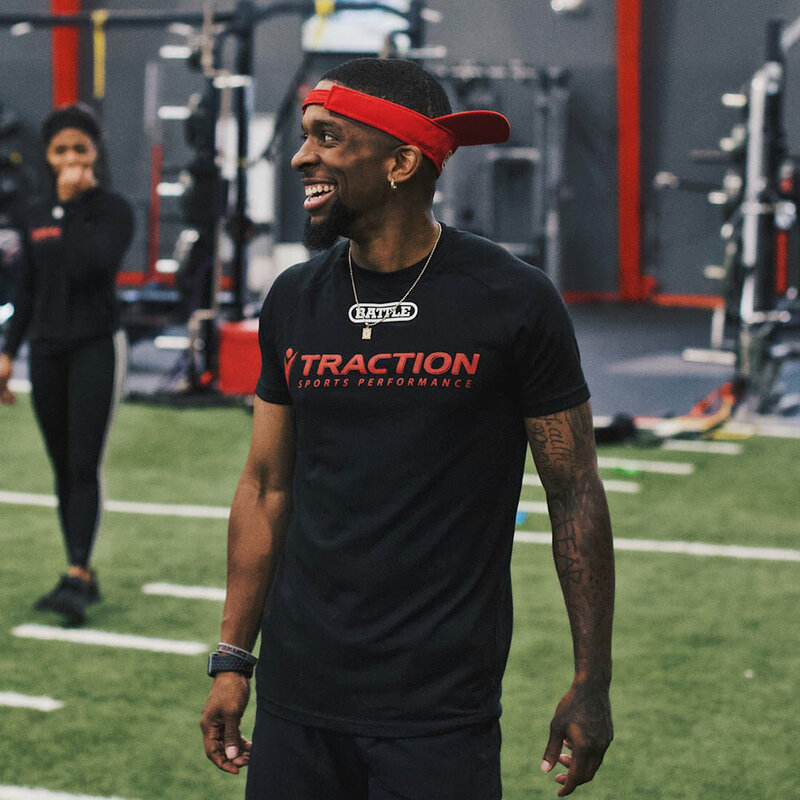 Morgan (Mo) is in his second year with Traction Sports Performance. He is a key component of our Sports Performance Department as well as the head of Speed Development. Mo also oversees many components of Traction’s Sports Marketing and media department. Mo is the head of Speed development for our NFL Combine/ Pro Day training program as well. He comes to us following stints at LSU as a strength and conditioning intern/ graduate assistant where he worked with renowned programs which included Football, Track & Field, Swimming & Diving, Volleyball, Baseball, & Soccer. Post his stint with LSU Strength & Conditioning, he moved to New York City & worked with EXOS and Adidas in Sports Performance, Sports Science, & Sports Marketing. Additionally, he is the strength coach for LSU’s professional Track & Field program working with the likes of many Olympians and World Championship athletes. He is from Shreveport, LA, where he attended Captain Shreve High School. He garnered All-District, All-City, All-State, & All-American honors in Track & Field as well as All-District honors in Football as a defensive back and earned varsity letters in Tennis. He finished high school as the #11 400m Hurdler in the U.S. via USA Track & Field and ESPN Dye Stat and a three-time National Jr. Olympic Championship athlete. He also holds his High School record in the 300m hurdles as well. He then went on the sign a Division 1 scholarship with McNeese State University where he earned All-Southland Conference honors and was a Conference finalist in the 400m Hurdles. He was a NCAA Championships qualifier during his time at MSU. Mo, then transferred to The Louisiana State University & was a two year letter winner for the tigers and one of the top 400m Hurdlers in the SEC. He graduated from LSU with his Bachelors of Science in Health Sciences and is currently enrolled to earn his Masters degree in Kinesiology: Sports Administration. He specializes in Speed Development & Sports Science in correlation to his research into GPS HR monitoring. Mo holds certifications from USA Weight lifting as a Performance Coach, USA Track & Field as a Level I coach, U.S. Track & Field Collegiate Coaches Association as a certified Strength & Conditioning Coach, USTFCCCA as a Level I coach, & has his certified personal training certification from the National Strength & Conditioning Association. He also holds his Certified Strength & Conditioning Specialist Certification from the NSCA as well as his CPR/AED/ First-Aid certification from the American Red Cross Association.